This is the ultimate classroom management kit! 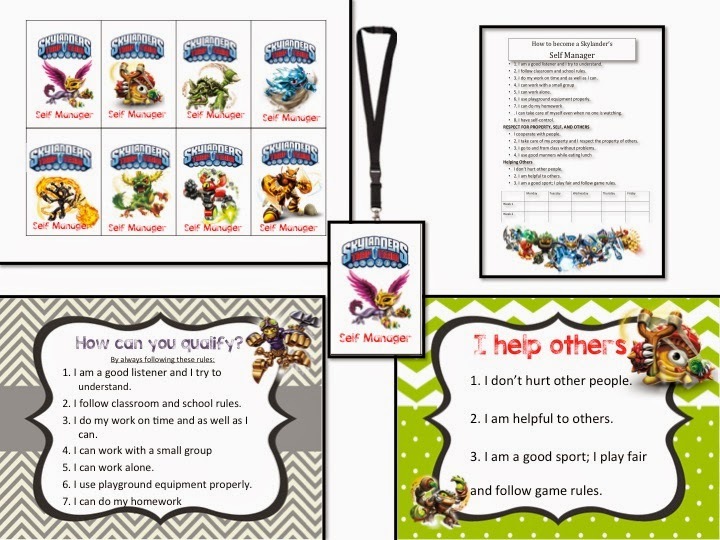 The students are encouraged to manage their own behavior. They follow a two week guideline and follow all the rules earning points for each good day they have. 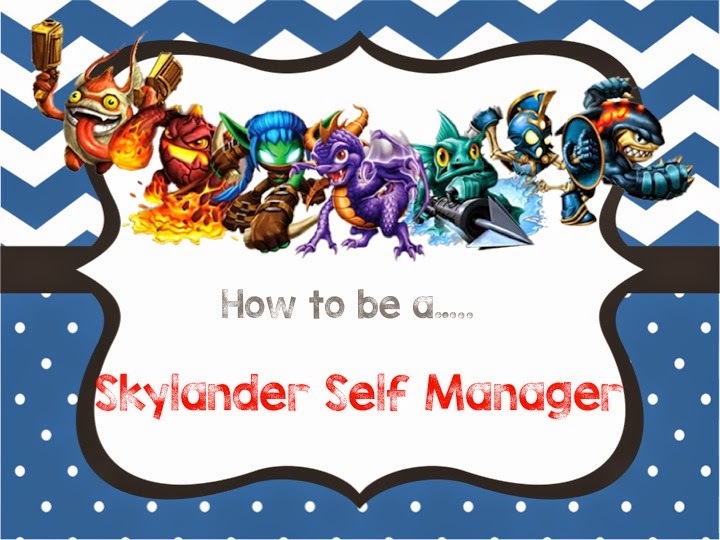 At the end of the two weeks they get to be a Skylander Self Manager and wear the Skylander Self Manager badge. The students enjoy wearing their badges around the entire school and showing everyone just how good they are! I have done this for several years in my fourth grade classroom and the students LOVE it! There is also a way for them to earn extra points after they get their badges-positions like Sargent, Captain and the Ultimate Skylander. 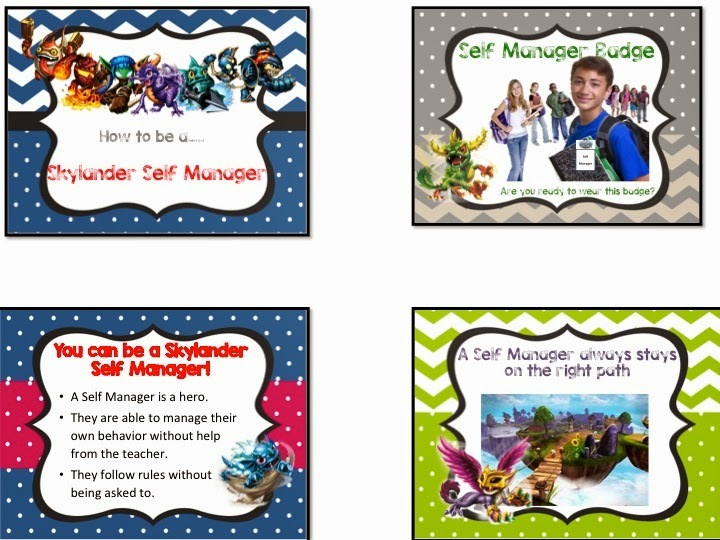 I like to have other teachers and staff members ask these special mangers for help when needed because they know that they are Self Managers so they can count on them for help. I love being able to share this with you and I would love to hear how it worked in classroom!